The wildebeest migration is rated as one of the world’s most incredible wildlife spectacles and a phenomenon that should have its place on every safari-lovers bucket-list. Every year over 1.5 million wildebeest, zebra and antelope migrate clockwise around the Serengeti/Masai Mara ecosystem. They travel up to 3000kms each year in search of rain-ripened grass. 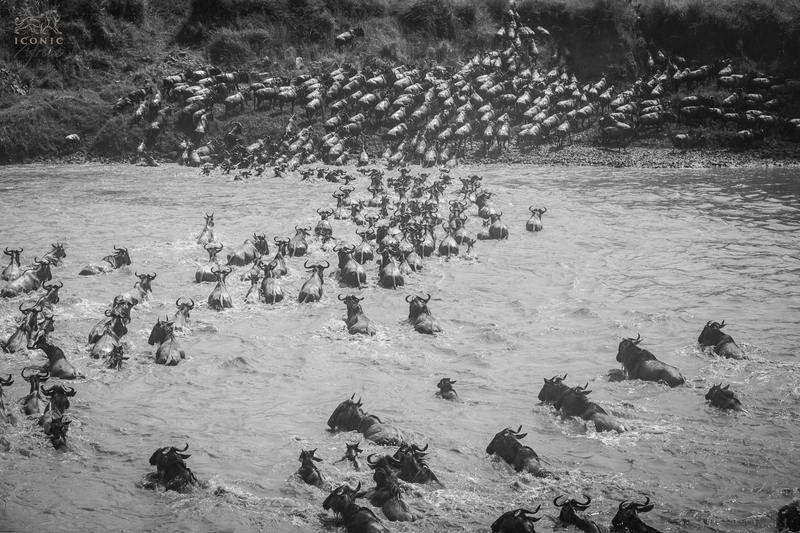 The trouble with the wildebeest migration is that can be unpredictable and if you get your timing wrong, you could miss the whole event. Therefore it is imperative to do your homework first and work out where to go and when before you even book your flights! There are typical movement patterns but they can, and do, vary month-by-month, year-by-year, as the herds follow the rains, and the new grass. Being in amongst the migration is an experience like no other, it is something you will never forget, the herds stretch for as far as the eye can see, there’s endless mooing and the sense of how this community is working together towards the common goal of survival is awe-inspiring. During the period of January through March the seemingly unending short grass plains of the southern Serengeti, and the Ngorongoro Conservation Area are inhabited by enormous herds of wildebeest and zebra. It is calving season too so an amazing time to witness the herds. This is considered Tanzania’s rainy season and is off-season for many of the lodges and camps, some of which close down. We don’t advise travelling in April or May. The grass is very tall, the roads almost impassable and the weather unpredictable and moody. 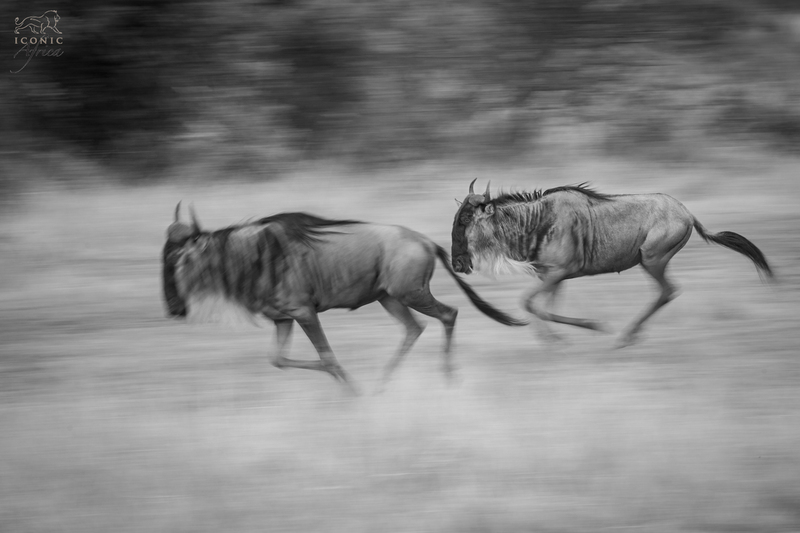 The wildebeest begin to head north into the central and western Serengeti during this time. The rains are clearing and things are drying up. The herds continue westwards, towards the central and western Serengeti. The predators are lying in wait and the herds are getting nervous. The rivers are particularly eventful as the hippo and crocodile eagerly wait for the wildebeest to come to drink! This is dry season – when things get busy and the time you are most likely to get some action and see a famous “river crossing” so make sure you book early. The wildebeest reside in the northern Serengeti and Masai Mara, the survivors that is! The herds break up into smaller chunks and most likely in the Northern Serengeti or the Masai Mara, which is much less crowded in terms of tourists than the Serengeti. October brings with it dramatic thunderclouds and the onset of the short rains, which call the migration southward. When the rain falls… the animals arrive! The change is dramatic with thousands of animals arriving almost overnight… its almost unbelievable, a real wonder of nature! As the rains continue during November the herds move south and east, leaving the Masai Mara and returning to the rejuvenated Serengeti. The grass is short, rich and full of nutrients yet again so the animals return back to where they started. The circle of life is complete and they are ready to begin the great trek once more. The grass is very tall at this time of year and so wildlife viewing can be difficult, thus not a great time to visit. Although we have put this together as a helpful guideline it is important to remember that the migration is not a continuously forward motion. The animals go forward, backwards, sideways, round and about, they mill around, they split up, they come back together, they walk in a line, the spread out, or they hang around together. You can never predict with certainty where they will be and what they will be doing; the best you can do is suggest likely timing based on past experience. It’s nature… and they are animals that have a will of their own so you can never guarantee the migration one hundred percent. That is what makes it so exciting! It’s a spiritual experience and one that you most definitely won’t forget. We wish you all the best on your mission to see the migration.